The T-Mobile version of the Samsung Galaxy S3 with model number SGH-T999 has already received the Android 4.3 Jelly Bean update with firmware build number T999UVUEMJC. Samsung Galaxy S3 (T-Mobile) SGH-T999 users who have already installed their devices with Android 4.3 Jelly Bean, may root their devices using the tutorial below. This tutorial uses CF-Auto-Root file released by Elite Recognized XDA-Developers, Chainfire. The CF-Auto-Root file allowing Galaxy S3 users to root their devices easily without depending on the firmware. It completely supports Android 4.3 Jelly Bean and future firmware as well. Head over to the CF-Auto-Root main thread to learn more about the root method. 1. Install USB Driver for Samsung Galaxy S3 on the computer. 5. 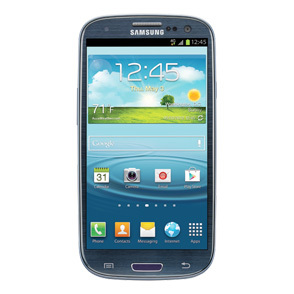 The CF-Auto-Root file works only on the Galaxy S3 (T-Mobile) SGH-T999. Applying this to any incorrect variant might brick the device. Verify the model number of the Galaxy S3 by navigating to Settings >> About Phone. Step 5: In Odin, click the PDA button and select the CF-Auto-Root-d2tmo-d2tmo-sght999.tar.md5 file. Samsung Galaxy S3 (T-Mobile) SGH-T999 running on Android 4.3 Jelly Bean is now rooted successfully. Open the app drawer of the phone and check for an app called SuperSU. Verify the root status of the device by downloading Root Checker app from Google Play Store. I rooted with no problem using this method. The only issue I have is SuperSu quits upon launch and won't open which won't allow me to run any rooted apps. Do you have any options to help? Thanks. I was able to TB to run and remove knox but it still won't work. I guess it's embedded somewhere in the system. I'll wait for an update too. Currently there is no way to root t999uvuemjc. Apparently, knox blocks the root. Just wait a bit until some developer finds a way to fix this. If you want to keep your root do not update to stock jb 4.3! You wont be able to downgrade T_T i am stuck. As an alternative method, you can install SuperSu from Google Play and when you run it you should be given an option to disable KNOX. so, we cannot do that because we do not have working root. Please note that the steps I list out, are to be completed after completing all of the steps posted by the author of the howto. Aw dang :/ Guess I'll wait then... thanks for the info! can you repeat your instructions and be more specific...? Hi Aaron, it works! Thanks for taking the time to share with us! Thank you from T-Mobile S3 user with Android 4.3 Jelly Bean, I had been checking daily here for this process. Successful Root, Thanks a million, I was already missing my Ad-Block which is mostly all I root for. Aaron, I have root but still cannot get SuperSU to open. I keep getting a message that there is no SUBinary and SuperSU can't open. Any ideas on ways to help? You can try to re-flash cf-auto or you might try re-installing it from the market. What do you mean by this? When I follow the main directions to root with CF-auto; after the reboot, I don't have supersu installed. I download it from play store but it will not open because I get the binaries not installed for root; when I click ok it just closes the app. Also when downloading from play store you say allow app to update and disable knox. I'm not sure what you mean by this either. The app does nothing after I download. could you be a little more specific on what you are advising on this? You may have to install SuperSU from Google Play, but once that is done, just follow the rest of the steps in my previous post and all will be good. Hmmm. Mine seems to hang on copying root.img over. Any suggestions? I was able to successfully do this earlier today. I came here to write the instructions. Aaron's steps are what it took me to successfully root. @ Adam, can you explain to me exactly the steps you followed when it freezes? It never seems to get past recovery.img - I left it alone for about 15 or 20 minutes and it just stayed like that. I've tried to load previous versions of android as well (aka older stock ROMs), and have not been able to do that either as it always seems to get hung up when copying a file over. Perhaps I don't have a real OEM USB cable since I did get it off amazon? I can copy files over to the phone just fine though - I just can't seem to properly flash the darn thing. Ah turns out I wasn't using an OEM cable. Switch to one allowed me to root successfully. Great. I am glad you have it working. Let us know if you need anything else. Hola estoy haciendo el proceso pero en el paso 6 la casilla de ID:COM esta en color amarillo y la opcion de Auto Reboot esta activada y Reset Time esta esta desactivada pero ambas no me permiten modificarlas, que hago. Usually the problem was with the version of Odin 1.85 to 3.04 and made ​​it ready. Will this method delete my internal storage? It should not, but a backup is never a bad idea. I GOT IT!!! I feel foolish for posting this now, but as dumb as this amy sound the slight ghost effect on the battery and 4g signal that I was seeing was due to my wallpaper that was an old screen shot and since the update the icons have slightly been modified so were no longer in the exact same place. lol I changed the wallpaper and was like DOHh! and as for the supersu not being installed I just installed that from the playstore and it worked fine, when I opened it for the 1st time it informed me that knox was trying to block it and if I wanted it to disable knox, I clicked yes and now I have a fully rooted galaxy s3 tmobile sgh t999 running 4.3 looks and feels more like a 4 now, camera features and all. Hey guys thanks for the tutorial... SUCCESSFULL ROOT!!! will this erase my phone? It should not erase your phone, but backups are always a good idea. I tried every suggestion I found in this forum and all unsuccessful. Reset phone back to factory level is the only one I have not tried. I try updating binary through APK installer blocked by Knox No Super User policy ...... I saw binary needs updating but again SOB Knox blocked. Is there a way to uninstall SuperSu through the recommended process? I went to App Store, and it showed SuperSU installed already. Click open, error message said unfortunately, SuperSU had stopped. I installed SuperSu CWM through App Store,the same banana like the installed SuperSU. I installed SuperSU CWM through APK installer, it installed SuperSDU CWM. When I open the app, I saw update binary or binary needs to update. I thought solution is near, but then update was stopped by Knox because saw a notification. In the end, there was a message no SuperSu policy installed something to that effect. Where do I go from here? I also tried terminal emulator with line command, SOB Knox stopped it dead cold. Update: Using the droidviews.com/diabale-knox-security method worked beautifully. Knox was disabled and I got root priviledge confirmed by root checker. Thank you very much Aaron. hi i cant open the supersu and the knox will apear what shoud i do? I no longer have an S3 to be able to test with to provide answers. Then follow the steps to root your phone. I assumed you upgrade your phone software to Android software to 4.3. In Android 4.3, Google embed an enhanced security system called Selinux on top of Samsung Knox. Let me clarify something here. When you upgraded to Andoprid JB 4.3, Knox security software was downloaded but not install automatically. To check this, you have to go to your application folder and click on Knox. If knox pops up and ask you whether you want to install, that means Knox is not the problem. Go to your device through settings, device info page at the very bottom, there should be one column Selinux mode enforced. If Selinux is in enforcing mode, there is no way you can take root as it will block Super Su to take control. You can try, by changing the Selinux mode to permissive. To do that, try the easiest route by going to Google Play Store and download Selinux Mode change changer. After you installed the Selinux mode changer, hopefully you can fire it up and change the mode from enforcing to permissive. It is possible that Selinux may block the mode changer to start up. If that happens, you have to look for latest Super Su V1.9 which you can install and hopefully, allow you to update Super Su binary to the latest version which you can disable Knox and change Selinux Mode to permissive. That is the only way you can take root. Going back to Knox, if Knox is installed, only Samsung can walk you through how to uninstall Knox. If your phone is provided by your employer ( company) changing Selinux mode or uninstall Knox may get your fire and I am not responsible. Selinux is an extremely effective enhanced security program in both Linux and Android. But Selinux is also troublesome from other people experience in using Fedora or Red Hat Enterprise Linux software. What about this phone original ? My phone galaxy sgh t999 i747 root to s3 gti 9300 quad core phone and refurbished phone android 4.3 plz answer this is original phone?